Sugar can be addictive and bad for your health. What if there was a healthier option? At Dirt-to- Dinner, we love our desserts, but we don’t love the negative effects of these sugary treats! Tagatose, a rare sugar, may be the answer to the world’s craving for sweets. Sugar is the holy grail of sweetness. Along with having the perfect texture and mouth-feel, sugar also makes foods taste sweet. It is inexpensive to produce and is a very flexible cooking ingredient. Its properties can withstand freezing temperatures, as in the case of ice cream, as well as high heat, as in the case of warm chocolate chip cookies. Being that it is in most of our favorite treats, it is no surprise that the body craves it! When we ingest sugar, a chemical reaction occurs in the brain where dopamine is released. Dopamine triggers a feel-good sensation in the body and causes the body to crave more of the sugar. It is no wonder that the United States ate 11 million metric tons of sugar in 2018 alone – that is 81 pounds per person per year! It is a struggle to keep sugar at arms-length. According to Mintel, 87% of consumers are cutting back on sugar in their diet, but white granulated sugar, honey, brown sugar, and maple syrup are still the top five choices. These products still get processed in the body the same way. So, consumers remain confused! Tagatose may be the answer to the world’s craving for sweets. Tagatose is a good-for-you sugar. Good for you? Seems impossible, but true: tagatose is healthy and has all the physical properties of granulated sugar. When we were introduced to Bonumose, a tagatose manufacturer, at an iSelectFund event, we were naturally a bit skeptical. The idea of a “healthy” and delicious sugar seemed impossible. How does it stack up against real sugar? Tagatose has many health benefits. It is a Prebiotic. Tagatose feeds the healthy bacteria in your gut. The small intestine absorbs about 25% of tagatose and then it gets eliminated. The rest goes to the large intestine where it is fermented by probioticswhich, in turn, benefits your colon and overall health. Tagatose also helps inhibit the absorption of fructose and glucose in the liver. Remember, prebiotics feed the probiotics in your gut. Tagatose has a symbiotic relationship with certain healthy gut probiotic bacteria that prefer to consume tagatose over other bacteria- a perfect match for a healthy immune system. No glycemic spike and it lowers your blood sugar. Tagatose can slow down glucose levels in both healthy and diabetic individuals. It even has the potential to be a treatment for diabetes. It inhibits the absorption of sucrose and maltase in the small intestine, thus lowering blood sugar levels. Through clinical trials, it has been shown to increase HDL cholesterol (the good kind). Assists in weight loss. Tagatose provides sweetness without the same amount of calories as regular sugar. It has 1.5 calories per gram versus sugar’s 4 calories per gram. Tagatose has fiber-like characteristics, so it gives satiety and doesn’t make one crave more. Tooth Friendly. It is well known that sugar promotes tooth decay. Tagatose has been reviewed by the FDA and is approved to be a non-tooth decay sweetener. It can be used in toothpaste and mouthwash. Generally Recognized as Safe (GRAS). In 2004, the FDA gave tagatose status to be used as a sweetener in foods and beverages. The European Union has allowed tagatose to be used as a “novel food ingredient” without any restrictions on usage. However, research has shown that amounts over 10-15 grams per meal or 45 grams per day may cause gastrointestinal distress in some people. Tagatose is categorized as a rare sugar. Tagatose is one of many other monosaccharides found in limited amounts in nature and fruits such as apples, oranges, pineapple, as well as milk, certain grains, and cacao. 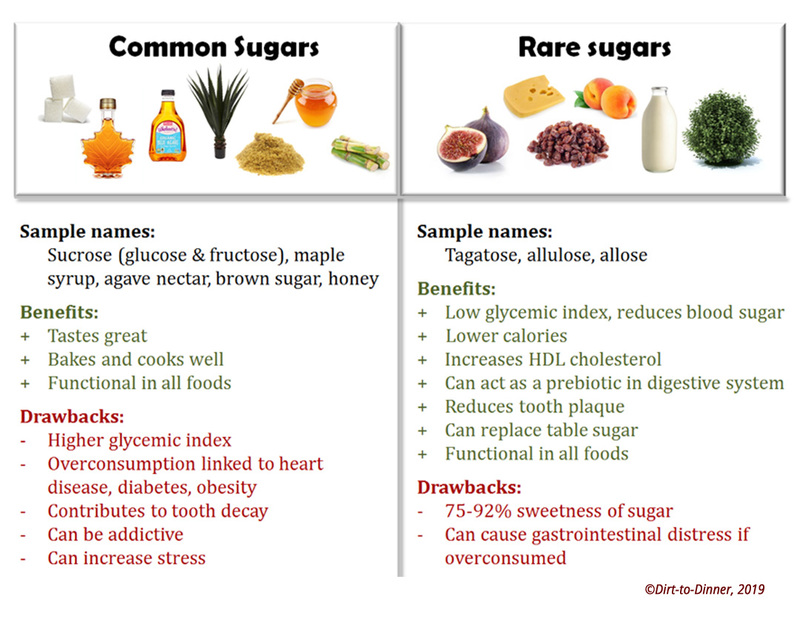 Rare sugars have been expensive to produce and cannot be mass produced like sugar cane, honey, or maple syrup. Because of this, rare sugars have not been considered for use as a sweetener, until now. Studied for 30 years in South Korea and Japan, tagatose was first created from extracting and fermenting lactose in dairy milk. In Asia, it has been used as a sweetener but in limited amounts. CJ Cheiijedang in South Korea is the largest producer. Still, because of its expense, it has not been widely used as a food ingredient. While you can purchase tagatose on Amazon for about $16.00 per pound, cane sugar is roughly $1.60 per pound. Bonumose has a patented production technology that could be a game changer. Located in Charlottesville, Virginia, Bonumose has patented a process to make tagatose from low-cost starch. Their process uses run-of-the-mill corn starch or by-product starch from potato processing, pea protein production or even tapioca, which is abundant in Southeast Asia. Their patented process is a combination of water and a proprietary enzyme blend which produces extremely high yields of tagatose. As a result, they can reduce the production cost by at least 75%. Bonumose is led by CEO Ed Rogers, who began his career as an Alabama litigator and an entrepreneur in animal food technology. Ed teamed up with Dr. Daniel Wichelecki, biochemistry Ph.D., shortly after Dr. Wichelecki finished his post-doc work at the University of Illinois Urbana- Champaign. Dr. Wichelecki invented the starch to tagatose technology. Bonumose is a B2B company that will be selling tagatose for formulation in beverages, dairy products, and healthy snacks. Dirt-to-Dinner gave baking with tagatose a try. 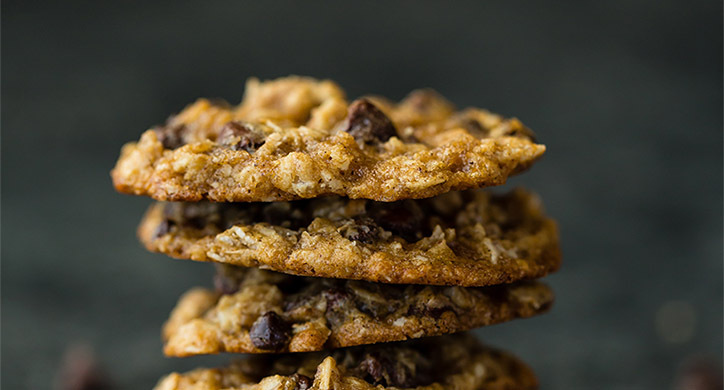 We replaced sugar with tagatose in baked oatmeal chocolate chip cookies, brownies, and our favorite banana bread. When we asked our friends and families to taste test the treats, they concluded that while the brownies were too hard and over-browned, the cookies were tasty with great texture, and the banana bread was just perfect! Look for our recipes posted on our facebook page. While you can buy tagatose for baking, it is still currently still made from lactose. Despite this, it is considered lactose free for those who have lactose intolerance. So how will consumers adapt to these rare, good-for-you sugars? Well, we are sold, and for those who love the taste of sugar, we think tagatose will let us have our cake and eat it too! Tagatose has tremendous potential, not only as a sugar substitute but as replacement sweetener in foods and beverages. With its naturally occurring properties and its good-for-you benefits, this rare sugar is sure to prove its value worldwide. This type of innovation is a great example of how scientific progress is working towards bettering our health and nutrition.